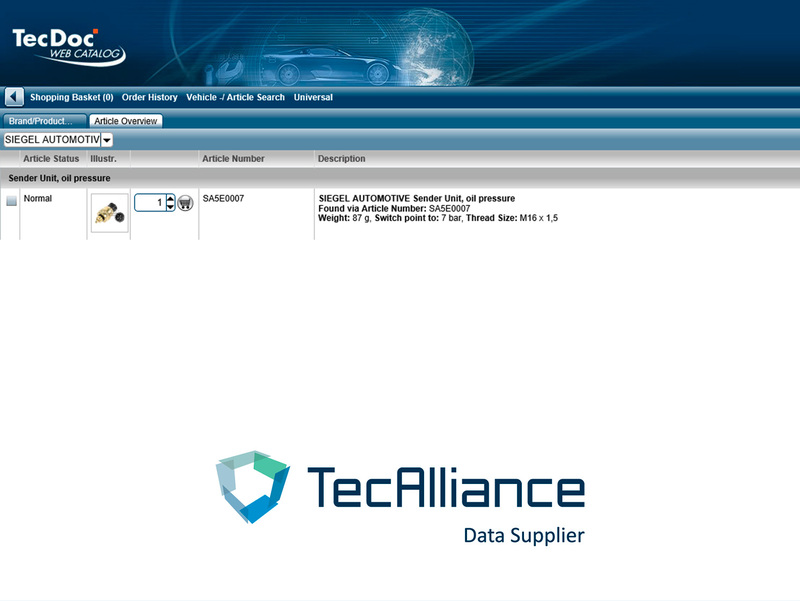 Workshop customers will find the commercial vehicle spare parts of the SIEGEL Automotive brand from now on together with detailed product information in the TecAlliance TecDoc Web electronic parts catalogue. SIEGEL Automotive is an additional offer from commercial vehicle spare parts supplier Diesel Technic and is aimed at price-oriented customers who are looking for repair solutions based on current fair value. The around 1 000 spare parts of the brand SIEGEL Automotive replace more than 2 100 reference numbers of the European commercial vehicle manufacturers. The range of products includes spare parts for the body and cabin, lighting and electrical equipment as well as other product groups. At the same time, the attractive prices of the branded products with tested quality are at the foreground with 12 months guarantee. The free available digital versions of the catalogue can be found under www.siegel-automotive.com/catalogue; the printed catalogue of the brand SIEGEL Automotive can be requested via the online contact form. Distribution partners can find daily updated information on products of the brand SIEGEL Automotive around the clock in the Diesel Technic Partner Portal and at the brand website www.siegel-automotive.com. 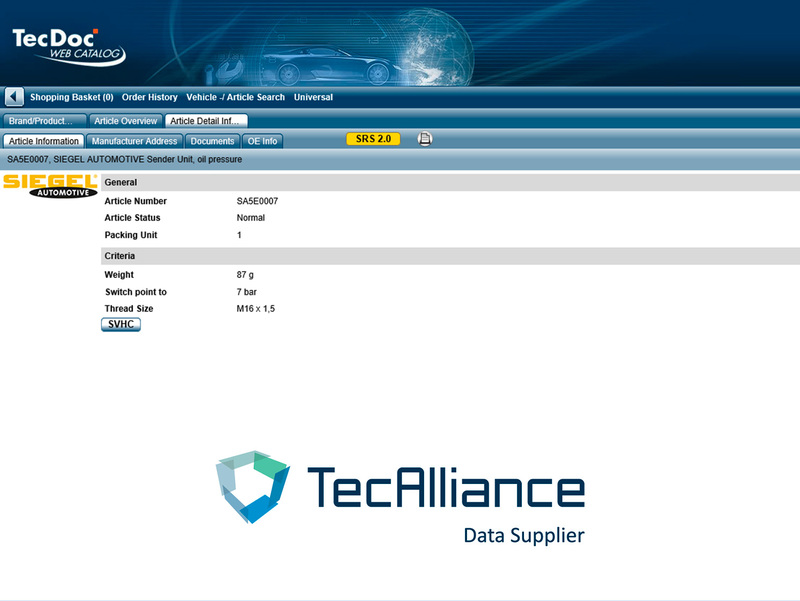 With more than 100 000 vehicle types, TecDoc is the world's largest vehicle database. TecDoc Web contains product information for more than 630 brands in 29 languages. Free workshops and dealers can quickly and easily access vehicle data and use the product information to find suitable alternatives from aftermarket suppliers. If it is not possible to find a suitable spare part of the brand SIEGEL Automotive for a particular vehicle application, the brand DT Spare Parts from Diesel Technic offers further solutions.